A payment of US $ 239.930 million to the South Asian University, which is around 79 % of the total cost of the full establishment of the University until 2014, was approved by the Union Cabinet. The cabinet mentioned that India is all set to ‘disburse the first tranche of its financial commitment of US $9.464 million to ensure that the University is operational in July-August 2010.’ The University’s aims are to disseminate an advance knowledge and understanding by providing instructional and research facilities in such branches of learning as it may deem fit. Being a non-state, non-profit self governing international educational institution, the South Asian University shall have a regional focus for the purposes set forth in this agreement and shall have full academic freedom for the attainment of its objectives. The jurisdiction of the University shall extend to whole of India and to campuses and centres established outside India in the SAARC region. 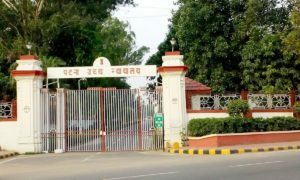 Neighboring100 acres of land, next to Indira Gandhi National Open University (IGNOU) is being acquired by the Ministry of External Affairs from DDA for leasing to the University. At the Thirteenth SAARC Summit held in Dhaka, in November 2005, Prime Minister proposed the establishment of a South Asian University to provide world-class facilities and professional faculty to students and researchers from SAARC member countries. The Inter-governmental Agreement for the Establishment of the South Asian University was signed at the 14th SAARC Summit (April 3- 4, 2007). The SAARC Member States also decided that the University would be established in India. Kapil Sibal, the Union Minister, Ministry of Human Resource Development, explained that from the coming year the Central Board of Secondary Education examination would be made optional. It would be changed to represent a nine point grading system, replacing the marks system. The minister denied the claim that one national board will replace all existing 42 state education boards. According o the minister an attempt is being made to bring about a child friendly educational system and not forcing rules down throats of the people and students. 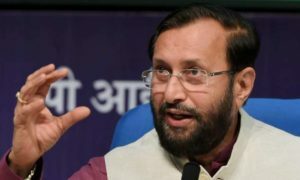 Central Advisory Board on Education, the country’s top education policy-making body which has state education ministers as members, in 2005 had passed the bill to make class X board exams optional. Same was suggested by National Council for Educational Research and Training (NCERT) in order to reduce stress on children, in 2006. Sibal explained that Class 10 exams will be made optional for those children who want to continue in the same school. Continuous internal assessment will decide whether a child will be promoted to class XII. The new system has following additional features. Those who secure over 90% will get grade A. Mark sheets won’t use the term failed for students who score less than 33% in particular subject. They will be given an E grade that will imply improvement required. And only when a student gets an E in more than one subject, student will be considered as failed. The grades consist of A, A1, B, B1, C,C1, D, D and E.
In addition, internal assessment is mandatory for students till class 10, for prescribed affiliation from CBSE. However, CBSE will continue to conduct exams for those students who wish to join pre-university professional courses. There is already an existence a grading system in place till class 9. 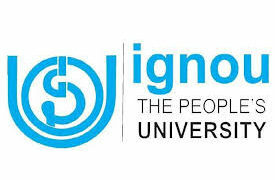 The Indira Gandhi National Open University (IGNOU) early in July, started 100 community colleges to bring a ‘learning revolution’ among under-privileged students across the country. At the launch, the Minister of State for Human Resource and Development Smt. D. Purandeswari told that the community colleges would act as milestones to enable the disadvantaged to engage in gainful employment of people at the grassroot level through appropriate skill development. The effort would allow the most marginalised section of the society to become a part of inclusive education. A unique initiative, community colleges will impart education through private-public partnership to underprivileged students using the unutilised capacities of educational institutions across the country. The colleges will commence their courses from the coming academic session. Mentioning the inability of the present educational system to meet the demands of the skill requirement in the market, IGNOU Vice Chancellor V.N. Rajasekharan Pillai explained that the community colleges will fill up the lacunae by imparting vocational education. Indira Gandhi National Open University (IGNOU), The Advanced Center for Informatics and Innovative Learning (ACIIL) and IBM India have signed an MoU that will reinvent and reform IT education in the country. The collaboration of IBM, with IGNOU, will bridge the gap that exists between education, skills and national development. As a part of the MoU, IGNOU and IBM India will partner to skill students on the IT standards in the emerging verticals like healthcare, financial services and retail that have a significant growth potential, in addition to the skills demand of Open Source software and Open Standards, with live projects.